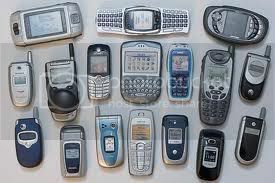 You are here: Home › News › Electronics Recycling › Recycling your old Cell Phone, PDA and Accessories. Don’t trash or stash them—Recycle! Did you just get a new cell phone and are wondering what to do with the old one? Rather than adding it to your growing collection of unwanted mobile phones, Recycle it! Recycling or donating unwanted cell phones, PDAs, chargers, and batteries has never been easier. Any and all components can be brought into one of our Drop-off Centers and can be recycled in the proper, environmentally safe way. copper, and plastics—all of which require energy to mine and manufacture. Recycling not only conserves these materials, but prevents air and water pollution as well as greenhouse gas emissions. power 18,500 U.S. homes for a year! • Remove your SIM card. network provider, or cell phone manufacturer. Regardless of age or model, there is no charge for dropping off these items at one of our locations.